Traditional veterinary medicine doesn’t work so well on certain things — like weird immune problems. All of the above involve the immune system. And traditional vet med tends to hand you some form of topical cleaner and/or steroids. These can help, but are unfortunately only a temporary band-aid. Either the immune system is depressed and can’t get rid of the fungus (rain rot, mud fever, scratches) OR the immune system is hyperactive (allergies, itching). Sometimes vets get caught up in trying to fix the symptoms without looking for a primary cause. In weird cases, the immune system is definitely involved and should be addressed. What can you do yourself? 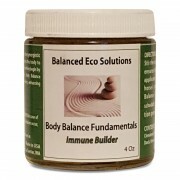 30 days of an immune supporting supplement is always a good, and safe, choice to start with. https://www.balancedecosolutions.com/wp-content/uploads/2012/09/20160701_003640.jpg 2708 2708 ronstalman https://balancedecosolutions.com/wp-content/uploads/2011/10/BES-logo.png ronstalman2014-07-29 23:53:572017-04-01 00:00:44Traditional veterinary medicine doesn't work so well on certain things -- like weird immune problems.